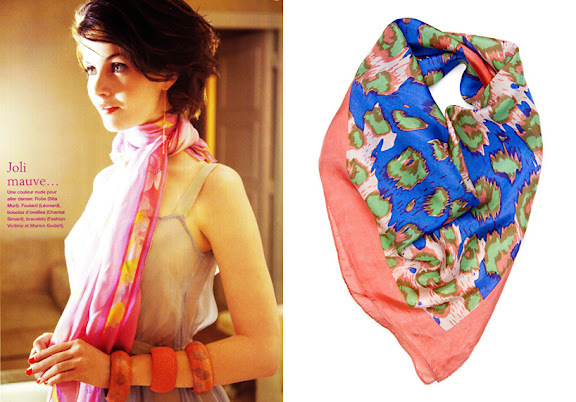 May is the perfect time of year to start accessorizing with light, gauzy scarves. The mornings start out crisp (scarf on)...the afternoons are full of warmth (scarf placed in or tied to handbag)...and then the evening chill sets in (scarf back on). Scarves are also perfect for those who are going in and out of over-air-conditioned-made-for-men-in-suits kind of environments all day long! Now I know that adding a scarf here and there can feel a little tricky if you haven't accessorized with them before. In fact, adding anything "new" to your daily uniform can feel a little out-of-the-box. But I promise it's a fun shift and you'll be happy you shook things up a bit. If you're still feeling a bit shy about the whole idea, check out this fabulous video showing 25 ways to wear a scarf (I mentioned it last Fall too) or the fantastic video below via Nordstrom--both are fabulous. As further motivation I've collected my favorite scarves on the web. You really just need one to get started--and then wear it like crazy! I fell in love with scarves when I first moved to Europe a few years ago. They are so versatile and can really dress up an outfit. Plus, they're just so dang easy to wear! Knot it, drape it, loop it...whatever! It's too hot already here for me to wear them, but I have a nice stack of scarves waiting for me this fall. The "Halter Cover Up" is my favorite way to wear a scarf, although I'm more likely to wear it over a dress than over a swim suit. 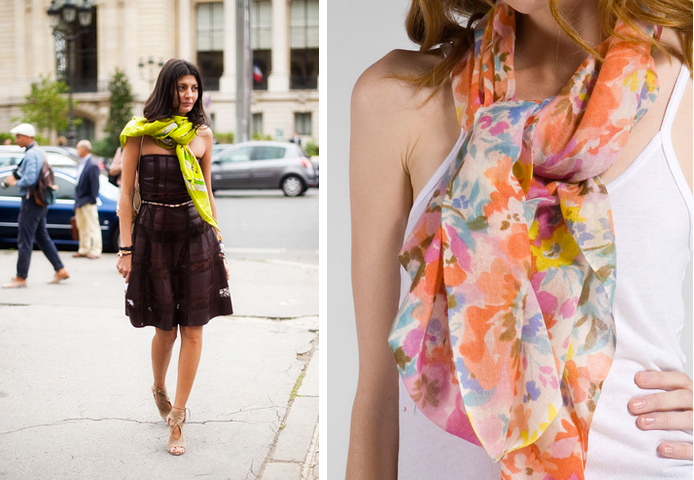 Thanks for the reminder to pull out some spring color with scarves! Fun video! What a great video!Thanks for sharing! Wow these are great, absolutely love them!